The H96 Pro Plus is an Android TV box that comes with a S912 CPU and 3GB of RAM. The S912 CPU is a good mid-range processor, along with the 3GB of RAM make the H96 Pro Plus a good box to use with Netflix, Hulu, YouTube, Kodi or other online streaming sources. This unit sent to me to review with my honest opinion and results below. The package comes with the box, power supply, HDMI cable, user manual, and remote control. 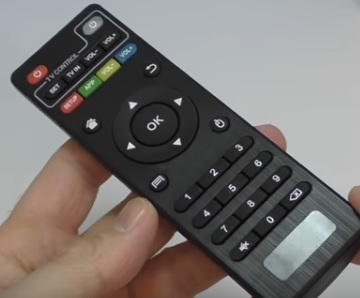 The remote control that is included is basic but works well enough. I always suggest upgrading to a mini wireless keyboard remote control since they make it easier when typing compared to the on-screen keyboard. One side has two USB ports. The back side has Ethernet, SPDIF, HDMI, and AV ports. 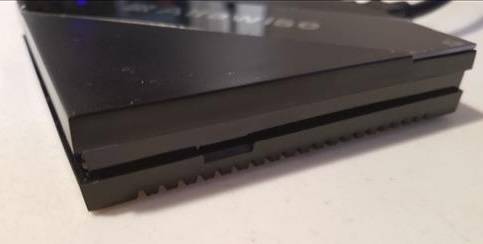 Like most Android TV boxes it comes with a SD-card slot to expand storage. The internal storage is average for a mid-range box at 32GB with adding a SD-card a good option for those who like to store lots videos and music on a unit. 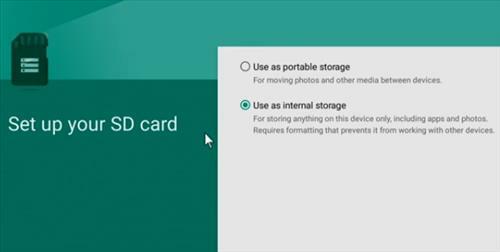 A nice thing about Android 6.0 and above is it allows for the SD-card to expand the internal storage, or be seen as portable storage. This means the internal 32 GB of storage can be easily be expanded by inserting a SD-Card and setting it up correctly. Doing a WiFi speed test the results were very impressive for an Android TV box. It gave a 142Mbps at 5GHz, and 47MBps at 2.4 GHz which is the fastest I have seen for an Android TV box. 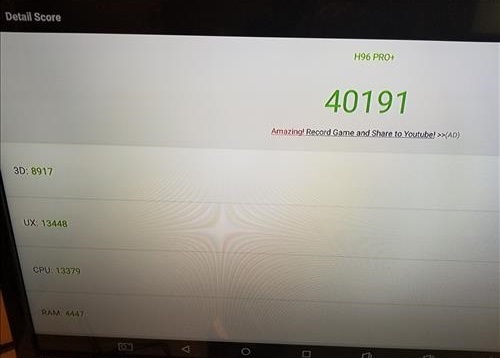 Running a CPU benchmark test with AnTUTU it gave a score of 40191. 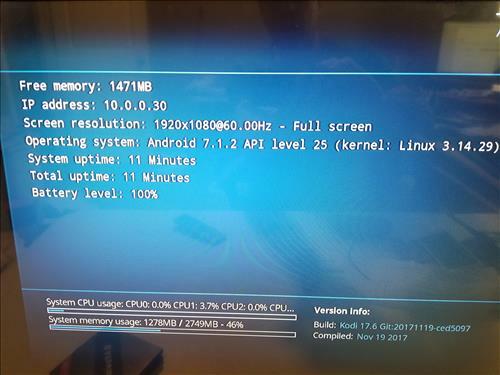 This is a good score for a mid-range Android TV box and what to expect from a S912 CPU. The real benefit of the H96 Pro Plus box is having 3 GB of RAM and very good WiFi. Booting the box up a standard launcher comes up for navigation. It comes with a lot of Apps installed. Of course as most know Apps are easily downloaded from the Play Store and very customizable. 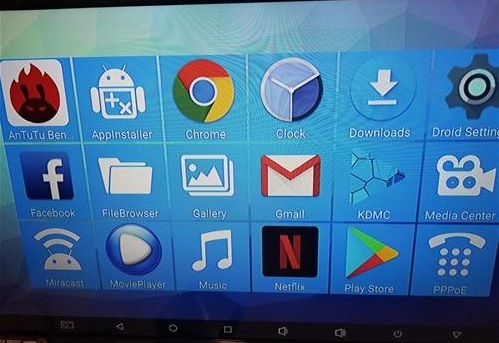 The H96 Pro Plus came loaded with a version of Kodi called KDMC which was basically Kodi 17.4 renamed. I uninstalled it and installed the new Kodi 17.6 Krypton from the Google Play Store. I also installed some top addons such as Neptune Rising and Covenant which installed and ran well. Looking in System Information it shows how well Kodi will run on the box which used barley any resources. The extra RAM is nice especially if you plan to run the new 4K Ultra HD video resolution. Playing videos it had no problem with HD 1080p and no problems with 4K at 60fps. 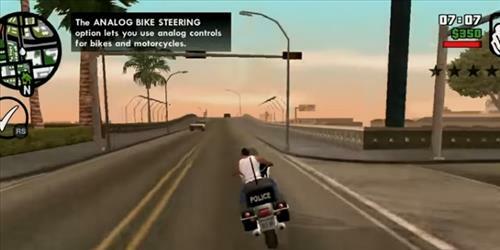 Testing game play I played GTA San Andreas at the maximum settings and it played with no problems. The extra RAM will help gammers who want more game play options. The H96 PRO PLUS is a nice android TV box and currently a very good low cost option. The S912 CPU also comes in many other units with varying other hardware such as 1GB and 2GB of RAM versions. The extra RAM and very good WiFi is what makes the H96 PRO PLUS box stand above other low cost units. Internal storage at 32GB and expandable with an SD-card or external hard drive is also nice to have. Of course the best android TV box is still the Nvidia Shield, but low cost units are making huge leaps to catch up and definitely worth a look. 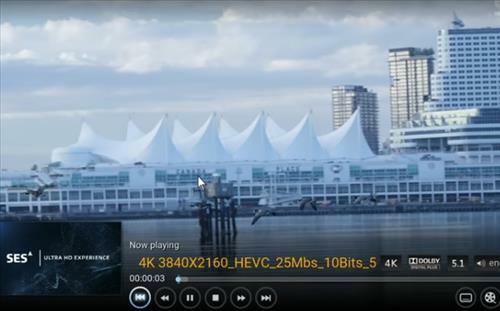 It will have no problems running Kodi 17.6 Krypton and streaming 4K ultra HD videos. I am still testing the unit but will update if anything changes. As always be sure to read the reviews on Amazon or elsewhere to see is a unit is a good pick for you. I’m not getting 5.1 surround sound when watching movies from apk. I have a hdmi/optical selector. It runs to my sonos playbar but only stereo plays. The selector works fine with cable box and DVD players . Is the h96 not able to output 5.1? I bought one of these boxes myself. I had the same freezing issue due to lack of power coming from the power plug provided. I updated the power supply to a slightly stronger one and had no issues since. Make sure it’s still 5v or whatever is currently supplied. You want a higher amp than what the current power supply is giving out. Hopefully this helps. The box works fine in overall. No problem at all. 4k movies are played smoothly and the quality is very good. The only problem I encountered lately was when I connected it with a new Yamaha av receiver rx-v485. The H96 pro + sends only pcm sound format to Yamaha receiver even though the original voice is dts. I thought it was a problem of configuring but after a lot of work around I noticed that the same video played from plex server via my PC through H 96 displays DTS sound in Yamaha. The problem of PCM sound format occurs when I play the movies through a USB at H96. Can H96 produce/decode dts sound? the deal breaker is that i have a 6tb WD external hard drive. can anyone recommend a Android unit that could work with it rather than having to partition my HD? I use my 3TB WD; works like charm. I did use Libreelec via SD card, KODI works much better this way (no overheating, since no Android background tasks running). Why this box cannot play directv apps? Its say thats this box is not compitable. Anyone can help me regarding this issue? 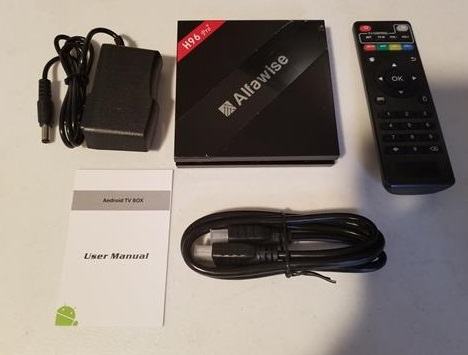 I’ve just bought this H96 pro android box and I would appreciate If you could tell me how to define a favorite channel with the remote control; I can’t access the context menu. i have the same box without miracast Why ? you can go on youtube and up date box to 7.1 i did it yesterday. I do need some help with my h96 pro. Every 10 or 15 min. A white bar comes on my screen saying unfortunately launcher has stopped working. This is becoming a little frustrating. I can just hit ok and there are usually 2 messages to get rid of. On investigation I find 4 launchers in the apps section. 2 in apps and 2 in system apps. Does anyone know why I keep getting these messages and how can I stop them. It’s a media player Pre-loaded?? Which Apps does it come Pre-loaded?? I had the same issue on my box and I removed launcher from the apps section under settings and it has stopped now — everything is working. I’m running my H96 Pro+ with my laptop cooling fan underneath, via USB. It’s finally working fine. I think the overheating issue (bad design) was the culprit. Still getting those annoying messages about something “stopped working”, occasionally, but the performance has improved significantly. It shouldn’t be like this, though. I’m getting another android box! This time with Android TV OS. After running fire sticks for a couple of years this box works smooth and very clear 4k over my 2.4GHz package. Good value. What is the version of the Google Play Store, Google play services, google app. framework on this device? I got mine on Amazon major issues would not do nothing so sent back for full refund better off not wasting your money. I read so many comment on this box with hang, freeze issue. Any solution to those issues? I am thinking to get one unit, however the hang/freeze is making user worried. Alternative beelink GT1 ultimate or T95Z fine? I prefer the one that is more stable. i bought new h96 pro plus from USA it was working fine their when i came back to India i use a converter for power adapter .when i connect on my sony 40 inch led try through HDMI no display is coming i tried through RCB not getting any display .any solution for this problem kindly help. Same issue here, constant crashing when pushed….. As someone else posted above, it appears to be an over heating issue as for general watching Netflix stuff it appears to work away without issue. but as soon as you push it for even a short period it crashes and you have to pull the power and reload. I’ve taken off the cover and a very small heat sink appears to be attached to the CPU with double sided sticky tape so I’m hoping if I attach a bigger sink with adhesive it may improve my situation. If this issue was sorted out if would be a fine product but in its current form I could not advise purchase. is this Android Box support OTG? can you try to connect a USB HD on it? another question, on some website it says that the android version is 7.1. can you check please. Upgrade to KODI 18 Alpha. That will fix freeze and buffering problems. How do I turn the H96 Pro + on and off and standyby with a mini i8 kbd ? Normal tv channel are un able to view in this tv box why?? ?, only HD TV channels are ok.
What is the maximum size of external micro sd card it supports? will it support 64gb or 128gb? 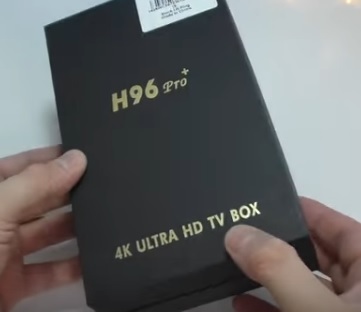 i got H96 Pro+ (no Alfawise) and device wont to play any 4K movie in Kodic, MX player, VLC or internal media player. It plays only sound and the screen still black. I got LG 4K TV 55″ UB850V. The device is connected via hmdi with 10bit deep color support. I dont know how to solve this issue. 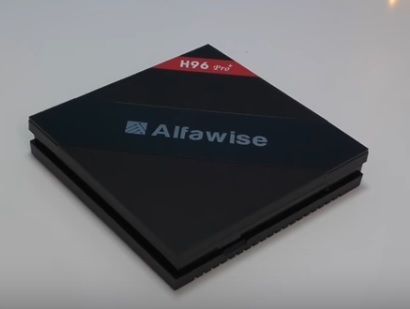 I just ordered a h96 pro + box from Ali Express. Reading the above opinions might be a bad idea. 4k, Dolby Atmos, DTS all play extremely well. How did you get dts to work? On H96 pro plus firmware 7.1.1 & 7.1.2 the microphone does not work at all. None of the above options work to get the voice from mic. & so as you can not use google Now, google search, google assistant. However I tried downgrading it to Android 6.0 & mic works without any problem. How did u downgrade. I need to run skype audio calls only. Secondly does this device got any mic built in. I have realy problems with my H96proplus mkv playing every mediaplayer instaled VLC player Kodi comming freezing the video about 2 second! Comming on the tv seen with decoding problem or sometings! I have sound problem likes decoding! Only zzzzgggggg comming out from the speaker! Maybe solution for this problems? does it support hdmi passthrough of content that is DTS-HD and True-HD (atmos)? this is called bitstreaming, does it support that? Have a Zidoo X9 has kit kat 4.2.2 but not possible to upgrade to marshmallow or nougat.Otherwise always worked fine.Purchased a H96 Pro+ 3plus32 directly from Hong Kong.Since day one it never worked and keeps resetting. Was able to upgrade from 6.0 to 7.1.1, but did not solve problem.Went into program to delete everything,cache,mount system,etc but the but the android man logo with the blue triangle and the exclamation sign with the “no command” message remains static and the problem persists. It boots up normally showing the MBOX logo and going to the launch screen.At times it is possible to move the pointer around to the different functions but when the selection is made, the screen goes blank and it will reboot again showing the H96 Pro+ logo and so on. Since I did not purchase the box from Amazon or any local provider I am stuck with the box I guess. It is not big and heavy enough to be used as a doorstop. I cant change the launcher??? HAve tried Nova and Apex. Both wont run. Says app error. Im on the latest 7.1 version with 3gb 32 gb. I am using a Launcher called Top Tv Launcher 2. Very customizable!Rated a 4+ on the play store. Running on The h96 pro plus 3 gigs ram with 6.0. Not sure if I have been lucky but my box has been great since I got it! I have the same issue. Can not change the launcher, It is very annoying. If anyone has a solution please let me know. have you tried disabling the stock launcher in settings? 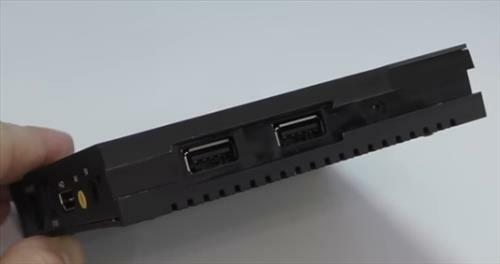 I just wanted to add that on the DDR4 version, at least mine, there are 2 extra USB ports on the microSD side, they are covered by the case but I cut the case and now Im able to use these extra ports instead of adding a USB hub as I was planning; btw one is an OTG port (closest to SD port). Thanks for this tidbit.. I popped the cover on mine and I also have the 2 covered, yet fully functioning addition USB ports.. Woo-hoo! Handy Dremel and now I’m all set. Hi…i am experiencing probs with getting Primewire and Exodus to show in my add ons. Kodi 17 came in pre installed on this box. I only have Vimeo, 9Gag, PopcornTV ABC family and youtubr. Wheni click othe add ons, it has a x next to it. When i click on Exodus, it shows as being installed, but i cant find it. I can’t get my wired controller working with my H96 pro +. Feels like it does not see my controller at all. Have been trying with xbox360 controller and with ps3 wired controller, no luck. Anyone else having these problems? Why would you want a wired controller; I have set up mine with wireless PS3 controllers using six axis Android app very easily, it is a one time wired set up then it takes the controller every time without need to connect the cable. My tv box is very much noisy. especially with any white background content. any solution. please. Thanks for the review of 4K H96 Pro. I am using old model Sony (CRT) and does not have HDMI port – how to connect the TV box? Also this box has an Ethernet port – how to use this port? Presently using Hathaway TV setup box can I use this setup box along with the Android TV box. This is the first time interested to use Android TV box and need more details for connecting the TV box to my Sony (CRT) TV. my only issue is that there is no display option in settings,so cant adjust opening page to fit the tv screen,7.1 nougat.i think a lot of firmware upgrades needed before it becomes more stable and reliable,it will happen in the future. Not sure what you are looking for exactly but the default Android settings doesn’t have those options you need to use the settings link from Home screen (which open as a side bar). There you can see options for Resolution and Zoom IN/OUT. Fruitcake. My first h96 device did not have the display option any place to be found. I sent it back and ordered the same device from a different seller and the function was where it was expected to be along with several other functions that were not available on the previous device. I am very pleased with the second purchase. It helped to purchase from seller with numerous excellent reviews. Beware of bogus reviews with excellent ratings from just a few people. From the responses in these blogs, I know that many defective devices are being sold that are causing bad experiences for an otherwise excellent device. thanks for the info. I guess I will have to reflsh the box with a better one. go to app and select droid setting icon. I have this H96Pro Android 7.1 TV BOX Amlogic S912 Octa Core and it constantly freezes up on me. It heats up alotr and I cant get past watching a movie for 20 mins then freezes! If you can open box : you will see stupid radiator on CPU. They using double sticki tape. Make your own and biger size. Is there a way to connect a webcam and also a microphone ? I have tried a usb soundcard but it is not possible to record or use google voice. And a usb webcam did not work also. any suggestions ? So note it ..on firmware 7.1.1 & 7.1.2 the microphone does not work at all. 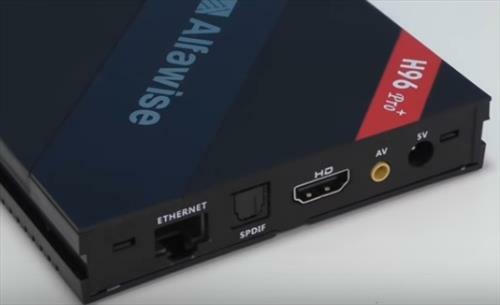 Is this a true Android TV box or one of these hybrid phone processor setups, as many of these units seems to be. 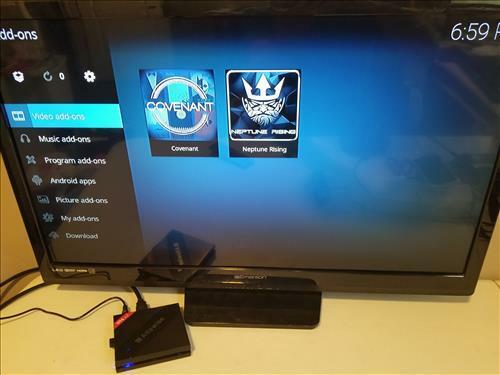 Because they are cellular in spec, the firmware is altered and will appear as rooted when not to strong security apps, such as Playstation Vue. Give it a try, you will find out quickly. Can it play live tv? What are the differences between H96 Pro and H96 Pro+? click the exit/back button just once. I am happy with H96 pro+, but… At lower part of the tv Screen there are dime tipical icons like camera, left button, circle, Squarepants, etc… Ending with a pointing down arrow… Igualmente you press the pointing down arrow those button desapar… Does any body known how to show those button a again? I just can Not find any way… Thanks a Lot! Gabriel. I figured out the functions for a few of those icons. Can anyone explain to me the function of those icons. You simply click on the “down” arrow icon at the bottom of the screen then it hides the icons. Depending on your navigation device (I am using a wireless qwerty keyboard) hold the “left click” button while your cursor is over the bottom edge of the screen, and swipe upward using the track pad…. the icons will then re-appear. Hope this helps. The android box is separate hardware from the TV. 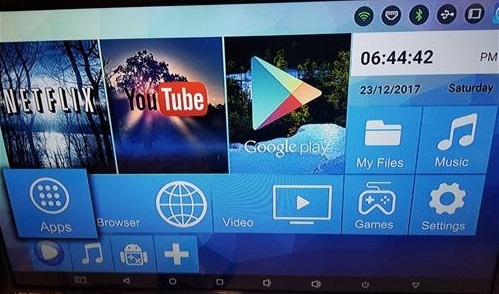 You could have the oldest monitor going and as long as it had the connections / drivers, the android box would display on it. 4k is just a resolution, given that your TV is capable the android box doesn’t need much in terms of hardware to match it. Yes any kind led tv how have hdmi port can be used. It is ok no problem. I have just got my H96 Pro Plus. I tried casting the screen of my mobile phone (Moto G 3rd Generation) to my TV using the MIRACAST app which came preinstalled on the H96, but it didn’t work. The TV screen shows a message saying, “Waiting for the user to connect. Launch wireless display on your mbox”. When I go to the settings on my phone and enable “Cast”, it says ” No nearby devices were found”. Any advice for solving this problem would be greatly appreciated. Thanks in advance. ON the very same “Cast” screen just tap on the 3 dots on top right corner and check Wireless display. This will solve your issue and connect with the cast device. Does anyone test with fubo tv, hbo go or directv apk? I cannot get it work with this box. Fubo tv cannot get through during first disclaimer. Directv lag and sometimes hang. Hbo go ask for google service update. Am having all kinds of problems. Sometimes will not get any sound on one or more of the apps (FWIPT or MOBDRO). While watching a movie via a google search – the movie suddenly quit saying google failed. Then had to start over again – this happened three times in one episode of a series. Also trying to do factory data reset but nothing happens. Very bad WiFi connection. I have 150 mb on all other android devices and on this box only 15. My WiFi is dual 2.4 and 5.0 ghz. Also through cable is connection very unstable. Have very similar thing. I have all kind of Android boxes and this one by far is the most powerful(except my NVIdia Shield) but the Ethernet practically doesn’t work, takes up to 5 minutes to get into each selection(I am taking about KODI 17). I also have two WI-FI networks: one from my cable modem and extender and the other through the $200.00 Linksys modem connected via Ethernet to my cable modem and then Liksys extender. This box has extremely slow connection to the Linksys network but works fine on the cable modem network, have no idea what is the differences, all my other Android boxes work fine on either of those, including Ethernet and I have no clue what is the difference. Jan. I had that problem with my first device. I sent it back and ordered same device from a different seller with satisfactory results. Look for customer reviews with numerous excellent ratings. I need to upgrade my android box but after reading these reviews and comments will steer well clear of this one thanks for all the input. Can’t blame you. Go with MI BOX, have tow of them, work beautifully. I have the H96 Pro Plus and was wondering if it is normal to get freezing in the menus from time to time? Sometimes it happens while I am watching a movie, only happens while I am in Kodi (17.1). If I press the home button it usually takes me out of kodi and back into the android homescreen however sometimes it freezes to the point that I will need to pull out the power plug. Problem is that after pulling out the plug and starting the unit back up again it stalls on the H96 Pro + logo or it gets to the mbox logo and while it animates a white box flashes around the logo, this just keeps looping over and over with the unit never booting up. I can get it to boot up again but I have to unplug the device again and wait several minutes before trying. Any idea what is happening here? Hi, I’m having the same issue and am wondering if you have been able to resolve it. When installing Sling TV or Spotify on this device, the apps believe that they are running on a tablet. They default to running as a touch screen app, so it’s difficult to navigate with a remote. I’m a software developer and not afraid to try a few things out. I tried changing ‘ro.build.characteristics’ in build.prop, but it had no effect. I’m stunned that these commercial apps appear to be untested on this device. I’ll probably keep hacking on it until I find a solution, but I would caution potential buyers to expect unwanted surprises like the one I encountered. So does the H96 Pro + actually output in 4K on a 4KTV? as opposed play 4k but output in 2k? I just returned my H96 Pro + 912, 3 gb, 32 gb 4K. It arrived without Kodi. I had a habit of freezing up, causing one to force shutdown, then only to go through multi repeat shutdown/start up, in order to get all services to run again, including google play services, etc. I wish I could find how to program remote control, as well as finding the power switch on the keyboard. I just grabed the exact unit except it is a “Q plus” not H96, all the exact same percs and CPU. My guy who I got it from told me you can’t turn it off through the wireless mini keyboard and have to use the remote, I didn’t have to program mine it works fine. Can you take the device with you and connect it to say a hotel’s wifi to be able to use it while on vacation? Is the hdd disk drive USB powered or mains powered. I have 2gb usb drive and not sure whether to buy or not. can this play 4k MKV files stored in external SD card? Kodi 17 upgrade of H96 PRO PLUS S912 leaves you with no DTS sound! So do not do it! Is this true? Wirelesshack, could you confirm? I have updated multiple H96 Pro Plus Android Boxes to Kodi 17.0 and 17.1 and never ran into this problem. How much is your box cost an how much that can do channel wise. Very interesting! I have an off brand 6.0 with most of the same perks of this machine save and except the 4K feature. Excuse my lack of knowledge but how does one play games through this media. thanks in advance.